Word has been received of the passing of Doris Assapki Fieldsa, wife of Delta Golden Wings member NEA/DL pilot Captain Walter Franklin Fieldsa. Granddaughter Laura writes that her grandparents Doris and Walter had been married 66 years having married on December 10, 1946. Doris was born in Minieh, Egypt. She was one of two initial flight attendants hired by Ethiopian Airlines. Ethopian Airlines was founded 12-21-1945 and commenced operation 04-08-1946. Doris was 86 years of age at the time of her passing on December 6th. 86, of St. Petersburg, died Thursday, December 6, 2012, at Bon Secours. Born in Minieh, Egypt, she came to the US in 1948 and moved to Clearwater in 2000. She was one of two initial flight attendants for Ethiopian Airlines. She was an avid lover of roses cultivating over 250 rose bushes and was a former member of the American Rose Society. She was also a former member of the Florida Board of Realtors She was a champion golfer and was a former member of Kings Bay Country Club in Miami, FL. as well as a former member of both Ferncroft Country Club in Topsfield, MA and Newbury Country Club in Newbury, MA. She was also a member of the League of Women's Voters in Miami. She was a linguist and fluent in five languages. She loved children, animals and collecting dolls. Her love of dolls lead her to open her own Toy & Doll store in Deerfield Beach, FL. 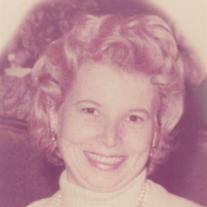 She was preceded in death by her sons, Kevin C. Fieldsa and Keith A. Fieldsa. She is survived by her husband of 66 years, Walter F. Fieldsa Sr.; her daughter, Karen F. Seidler of St. Petersburg; her sons, Wayne W. Fieldsa of Naples, FL and Walt F. Fieldsa Jr. of Sevierville, TN; her sisters, Mary Depaolis of Los Angeles and Theresa Rizkallah of Alexandria, Egypt; her brother, Charles Assapki of Goffstown, Australia; her eight granchildren and two great grandchildren. In lieu of flowers, the family prefers donations be made in her name to Alzheimer's Foundation of America, American Diabetes Association or Suncoast Hospice.